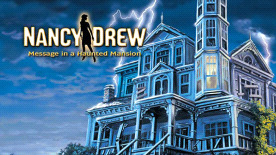 Follow your hunches as you explore a huge Victorian mansion! There’s trouble afoot at a friend’s beautiful inn that you, as Nancy Drew, have been called on to help renovate. From collapsing scaffolds to leaking gas, and suspect fires to ghostly threats, Nancy is about to stumble onto a secret that someone – living or dead- would rather keep unknown. Are the inn’s inhabitants leading you to a truth or a trap? One false hunch, and you won’t stand a ghost of a chance! Learn to identify Chinese characters known as “hanzi”.